Before we discuss; How can we increase the conversion rate? Aren’t you wondering “What is the conversion rate”? So, let us first discuss the conversion rate before we move to the crux of this article. 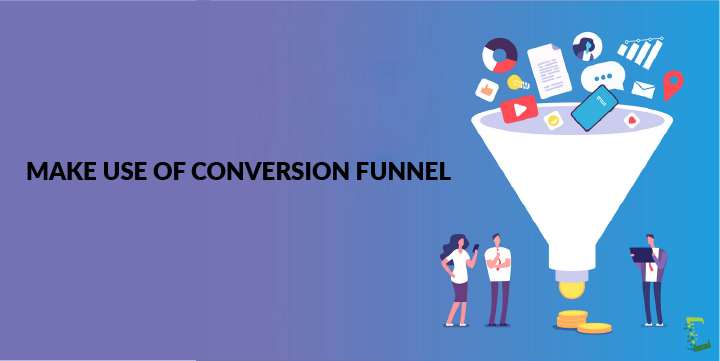 The conversion rate is described as the percentage of visitors that appeared on your website who finally changed from a prospective buyer to a final buyer of your product or the services you offer. 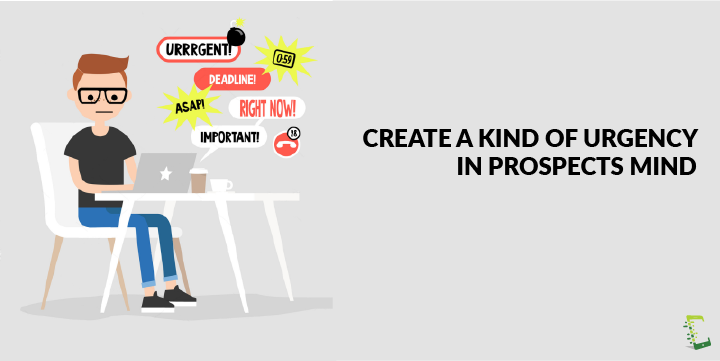 It is excellent if you are able to direct a lot of prospects to your website, but all your efforts will be useless if those prospects convert by a little number or do not convert at all. So, there is always a need to increase the conversion rate. You are still thinking that there is no need of working on conversion rate. A great name in the world of marketing Jeremy Smith says, “Every aspect of marketing is entirely useless unless it produces conversions” in one of his articles. In this article, we are going to unfold; how you can really increase the conversion rate on your website and take your business to great heights. The value proposition is one of the most valuable conversion parameters. 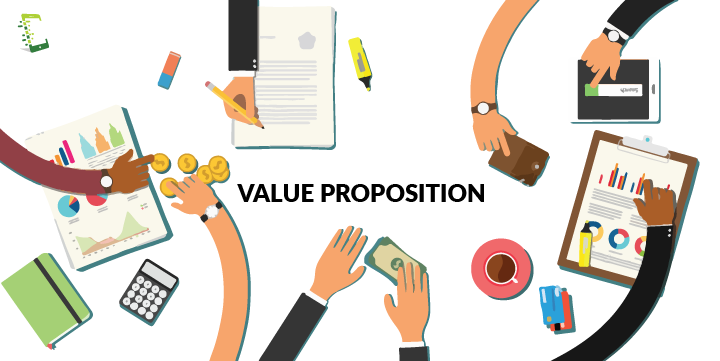 You must be wondering; What exactly is a value proposition? It is something by which you tell the prospect; What exactly you are selling? Why they should buy the product or the services from you? What are the plus points present in your products or services that are not being provided by others? Displaying a Welcome banner or your company name along with the products and services you offer on the homepage is too generic. There is a need for displaying a value proposition which can showcase your company as well as your product. You need to include every good element your competitors are already displaying along with at least one unique element that no one has, which will isolate you from the crowd. Drafting a convincing value proposition is useless until it is transmitted successfully to the prospects. Avoid keeping a big and boring paragraph as your value proposition. As no one is interested in reading long boring kinds of stuff. Keep reframing it until you get a small and on point perfect value proposition. A conversion funnel is a kind of blueprint that lets you visually stimulate where the active visitors on your website are in the process of making a buying decision, and it will also help us in knowing whether they have the potential to become your brand evangelist or not.The conversion funnel is important because by making use of conversion funnel, you will get to know the real needs of your website visitors, and after fulfilling their needs you can eventually convert mere site visitors to check-out customers. Not every first-time visitors on your website is there to purchase something instantly, and you can’t always make them buy your products on their very first visit. It doesn’t mean that they are not important, it actually gives you an opportunity to connect with them, understand their requirements and finally transform them into a legit buyer. One of the important parts of conversion funnel is Brand Awareness: A good way is to tell them about your product before you start focusing on selling your product. Most of the customers acquire information about a company through articles rather than advertisements. Creating a blog to drive traffic to your e-commerce website will be a good approach. You can also achieve this with the help of already established famous blogs that has a good name in the market by paying them to post about your product on their blog. Most of the buyers are very much brand specific. They are not even a little bothered about ratings, discounts, and other attractions like refunds, replacements or free shipping. For most of the time, they hit on brands they recognize. Following the normal human tendency, people get attracted towards things(brands here) they are frequently exposed to. And this is why you should keep remarketing your product at periodic intervals. This will definitely help you in getting sales for your e-commerce website. It is good that you are very proficient in your language and you have a great vocab. But, not everyone is like you, especially your prospects. It is always better not to confuse visitors with complex business language, if they don’t get it, they are not going to ask you, apparently they will move to someone who has explained about his products and services in a simpler yet effective way. The best approach is to write it in a way you gonna explain it to the dumbest person you know. 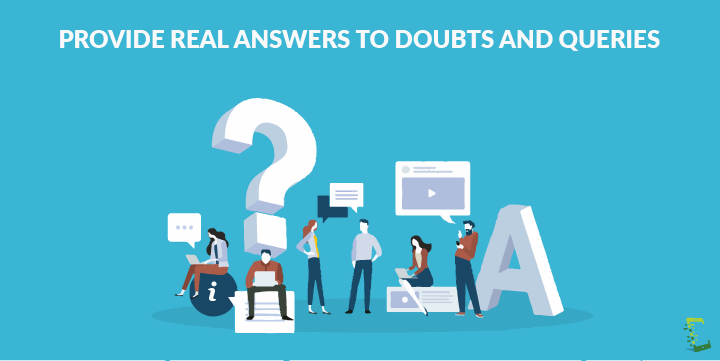 It is easy to convince prospects for a sale when you are talking to them in person by responding to all of their doubts and queries in the best possible way. But when it comes to the website it is not that easy. The best approach is to publish a frequently asked questions page with all the possible questions and their respected answers on the website. The concerns that should be answered in that pages are; What kind of service you provide? What kind of problems your product solves? What kind of trustable experience you have? Who are the clients you have served or you are currently serving? What are your return and refund policies? And justification of the price of your products as per the quality product and service you are providing. and second to time(few minutes or hours remaining). Always keep one thing in mind; lie in limits, people will get to know if you are faking scarcity on great heights and it will directly affect the trust between you and your prospects. Buyers are always in a risky condition. Most of the time they are under dilemma; will they get the promised service or product once they pay or they won’t? In order to pull them away from this dilemma, offer them guarantees. Let us go through an example to make the point more clear: The best example is of pizza selling guys, they promise to offer a complete money back if the pizza is not delivered on time. The first thing that comes to anyone’s mind after listening to this is; why they will be late if they are willing to pay back? And this is how the guarantee overshadows risks. Compensating them with some freebies or extra service along with the money back option is more effective in holding on to the otherwise leaving leads. 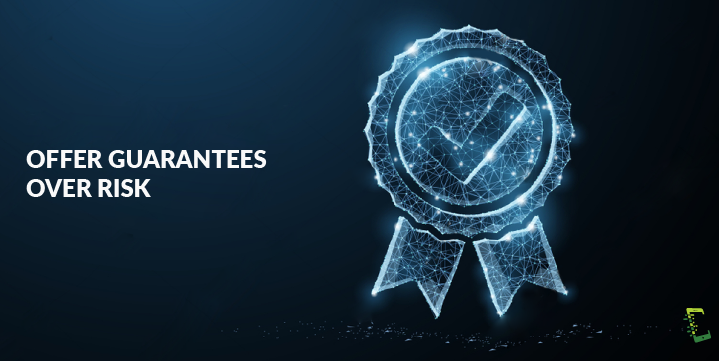 The “30 days money back guarantee” has almost become a standard promise, you too need to follow this and if possible give them more than 30 days to be in the limelight among others. 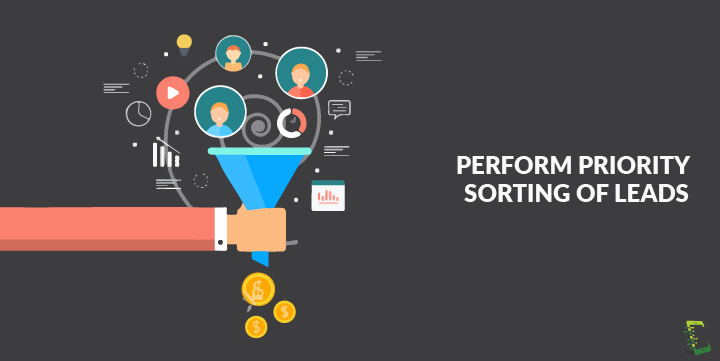 Based on the feedback and queries collected from already converted customers and also from prospective customers in the second stage, leads are arranged in different groups based on the chances of their convertibility into a legit buyer. It is finally converted into many lists, which are then distributed among the sales representative to carry on the final task of convincing the prospect customers over call, email or through a personal visit. Many of the times after investing a lot of time and efforts in many conversion rate increasing techniques the result is not satisfying. What you are offering on a website may be the bottleneck to this problem. To get rid of such bottlenecks you need to check the website for stuff that can distract the prospects from choosing the buying option. 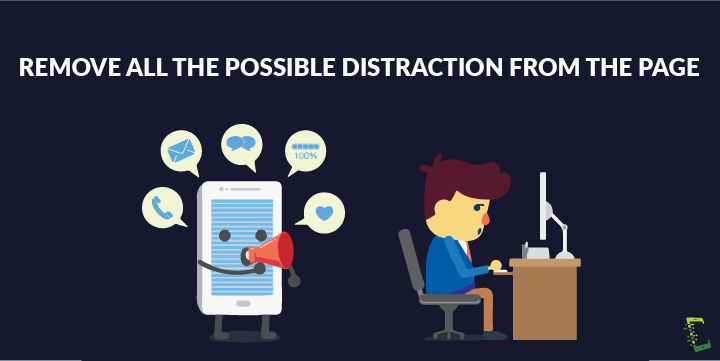 Try removing distractions like worthless product options, outdated links, and unessential repetitive information, removing them will surely increase the conversion rate. 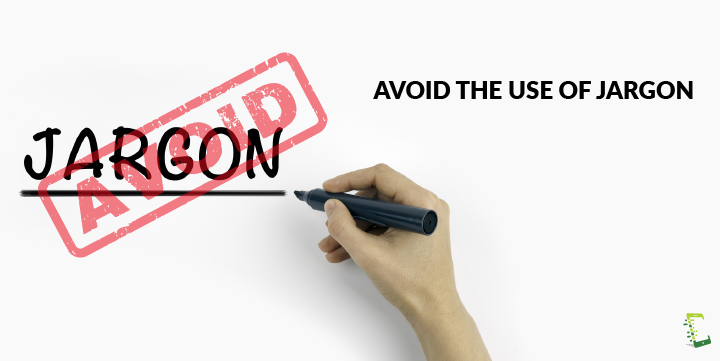 Make sure that there are no not so necessary information or action buttons on the landing pages and checkout pages. 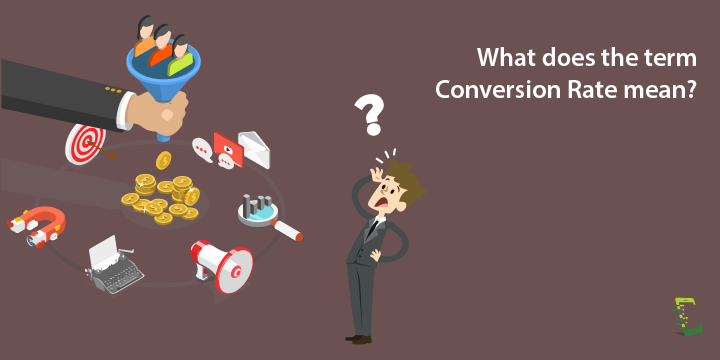 In this article, we discussed; What is the conversion rate? Why increasing conversion rate is important for any business? And finally, we walked you through the effective methods of increasing the conversion rate. By the end of this article, you know that a good conversion rate can effectively raise your business. And the best part is you know how to increase conversion rate. Working on conversion rate is not a one time or a one day work. It needs to be carried out until you decide to put down your business. Should you have any queries related to “increasing conversion rate.” Write to us in the comments section below. Want to increase your sales conversion rate?